Pro General Comments: very unique and unpredictable arrangement...the instrumental was very cinematic with elements of cannon booms and gun fire...this was calculated chaos and it build then exploaded build then exploaded the singing was excellent...i never knew where the song was going...i was swept away in the controlled confusion...it's commercial as well as entertaining. The overall sound of the instruments was awesome and the arrangement weaved the vocals in and out creating a sound tapestry...I loved it. Quote From Pro: this musical piece offers many places for music supervisors to feature sections in various scenes in movies and television. 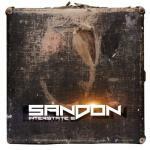 I believe Sandon has a very original, creative and inspirational mind and has the skills needed to be innovative and successful in today's music market. I would be shocked if this song wasn't signed and placed very soon. Keep up the good work.